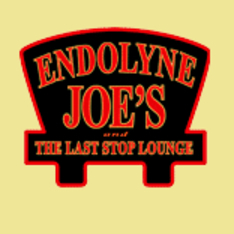 I haven't been to Endolyne Joe's since they opened. Tonight I had dinner there with some friends. I have been to all the Chow Foods restaurants and I like them all. Chow Foods likes to have menu themes at their establishments. The theme at Endolyne Joe's right now is Route 66. They do a great job decorating the restaurant with the theme. Tonight I had the buttermilk fried chicken dinner. The dinner comes with three pieces of chicken, mashed potatoes and gravy, coleslaw and a buttermilk biscuit. The buttermilk fried chicken was delicious. I'm really picky about my fried chicken, and this was really good. The chicken skin was fried perfectly. It wasn't over-fried. I don't like it when it is too crunchy. The chicken itself was very juicy. Let's just say that all that was left on my plate was a small pile of chicken bones. The mashed potatoes were okay. They could have been a little bit more creamy. The coleslaw was good and crisp. The service tonight was great. Our server was very attentive. He was very informative of the specials and made some good recommendations. I like the atmosphere of Endolyne Joe's. It's a comfortable restaurant. You feel "at home" there. It is also a very family friendly restaurant, which was evident by the number of children who were there tonight. I wish my parents took me to a restaurant like this when I was a kid!